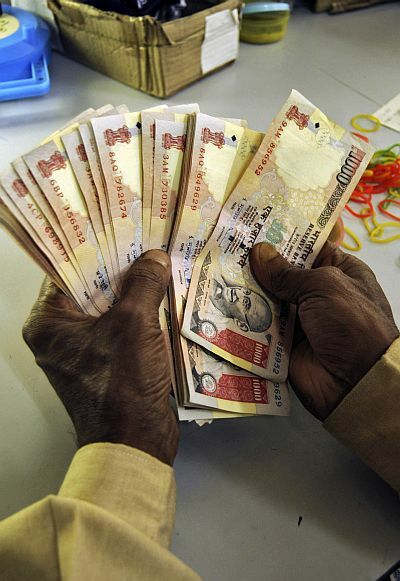 The Rs 570 crore cash seized from three containers in Tamil Nadu on Saturday belongs to the State Bank of India but it will not be handed over to the bank before a proper probe by the Income Tax Department, the Election Commission said on Monday. Deputy Election Commissioner Umesh Sinha said in New Delhi that that it has now been established the amount belongs to SBI. But EC will not hand it over to the bank. The money will be with the Income Tax department till the probe by the tax authorities is over. The State Bank of India had claimed the money belongs to it and it was being transferred from Coimbatore to Andhra Pradesh to address cash shortage in that state and as per RBI instructions. The vehicles were detained by election department officials after chasing the trucks, which were accompanied by three cars, after they did not stop at the check post at Chengapalli in Tirupur District in the wee hours of Saturday. A high-level committee, headed by Expenditure Observer, carried out a detailed inquiry with the State Bank of India officials for more than 12 hours, with regard to dispatch of the money, without valid documents and proper security. The bank had staked claim for the money, saying that it was transferred from Coimbatore main branch to its branches in Vishakhapatnam, where there was shortage of cash. Moreover, this was done according to RBI guidelines, SBI had said.